In DWI investigations in North Carolina, the most important piece of evidence that a police officer can obtain against you is evidence of your alcohol concentration. In its simplest form, your alcohol concentration refers to the amount of alcohol contained on your breath or in your blood. In the majority of DWI cases, evidence of your alcohol concentration is obtained through a breath-testing machine, such as the EC/IR II. However, the North Carolina General Statutes (N.C.G.S) also allow a police officer to obtain evidence of your alcohol concentration through a blood draw. Before embarking on a journey down the complicated and twisted road of all that is blood draws in North Carolina DWI cases, it is worthwhile to have a brief constitutional lesson. You see, the Fourth Amendment protects us from unreasonable searches and seizures of not only our houses, papers, and effects, but also our persons, including our blood. Generally, this means that the police cannot physically intrude on these constitutionally protected areas in order to obtain information; however, this is not an absolute protection. That’s because the Fourth Amendment also allows the police to obtain a search warrant to search these constitutionally protected areas and seize the evidence gathered from the search. Additionally, there are circumstances under which the police may search these constitutionally protected areas even without a search warrant. 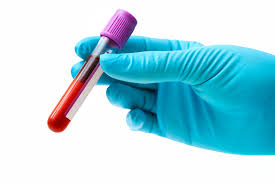 With regard to blood draws, those exceptions include your consent and exigent circumstances. Moving forward, the takeaway of this section is to know the general rule concerning blood draws in NC DWI cases. That is, before the police can perform a withdrawal of your blood for a DWI investigation they need to have a search warrant to do so. However, if you consent to a blood draw or if exigent circumstances exist for the police to draw your blood, the police do not need a search warrant to do so. Let’s examine these exceptions to the search warrant requirement in greater depth. As hinted at above, your consent is one exception to the requirement that a search warrant be obtained before your blood is withdrawn for purposes of a DWI investigation in North Carolina. In order for your consent to be valid to excuse the search warrant requirement, your consent must be given freely and voluntarily. With that, like the majority of states, North Carolina has implied consent laws (N.C.G.S. 16.2 and N.C.G.S. 20-139.1). The purpose of implied consent laws is to make it easier for the police to collect evidence of your impairment through chemical testing, including blood draws. Implied consent laws essentially attempt to force you to submit to a breath test or blood test by obtaining your “consent” to perform such testing, but only after notifying you that if your refuse to submit to the testing there will be consequences, such as driver’s license revocation and the fact that your refusal will be admissible at trial. Consent is Voluntary Under NC’s Implied Consent Laws: By driving on North Carolina’s roadways, you implicitly consent to chemical testing, including a withdrawal of your blood. Thus, a blood draw that is carried out under North Carolina’s implied consent laws is constitutionally permissible unless you withdraw your consent. Consent is NOT Voluntary Under NC’s Implied Consent Laws: Independent of North Carolina’s implied consent laws, the Fourth Amendment requires that your consent be voluntary to justify a warrantless blood draw. The fact that you agree to have your blood withdrawn after being notified of your implied consent rights, and consequences of refusal, does not establish that you gave actual consent to be tested; the State must still prove that your consent was given freely and voluntarily considering the totality of the circumstances. Let’s take a look at exactly what North Carolina’s implied consent laws require before the results of any blood test are admitted at trial. As discussed, a consensual blood draw indicates that you gave consent, or permission, for the government to collect a sample of your blood. While a police officer may collect a sample of your blood through a blood draw with your permission, the results of the chemical analysis performed with your blood is only admissible at trial if the officer, and others, follow the procedures set forth in North Carolina’s implied consent statutes. You have been charged with an implied-consent offense. Under the implied-consent law, you can refuse any test, but your driver’s license will be revoked for one year and could be revoked for a longer period of time under certain circumstances, and an officer can compel you to be tested under other laws. If the police officer fails to advise you of these implied consent rights, the results of the blood draw are not admissible during your trial. This means the chemical analyst will not be allowed to testify to the court about the numerical results of your blood alcohol concentration. Additionally, if you were first requested to submit to a breath test, you may have also been informed of these exact same rights if the chemical analyst, who is typically the police officer, followed the proper procedures. However, if you were later requested to submit to a blood test, the officer must re-advise you of these implied consent rights before the blood draw actually takes place. Again, if you are not re-advised, the results of your blood test will be suppressed. The other highly litigated exception to the requirement that a search warrant be obtained before your blood is drawn during a DWI investigation in North Carolina is the existence of exigent circumstances. With regard to exigent circumstances, the general rule is that where evidence would dissipate, or disappear, in the time it would take to get a search warrant, the police may perform the search without first obtaining a search warrant. Thus, in the context of a DWI investigation, the government will argue that a blood draw, the search, should be able to be performed without first obtaining a search warrant because your blood alcohol concentration, the evidence, will dissipate in the time it takes an officer to go get a search warrant. Let’s take a look at what the courts say about this issue. The leading case on whether the dissipation of alcohol is considered an exigent circumstance in DWI cases was decided by the United States Supreme Court in Missouri v. McNeely. In McNeely, the defendant was stopped by a Missouri police officer for speeding and crossing the centerline. After being arrested for DWI, the defendant refused to take a breath test to measure his blood alcohol concentration. As a result, the officer took him to a nearby hospital for blood testing. The defendant refused to submit to the blood test and the officer never secured a valid search warrant. Even so, the officer directed a lab technician to take a sample of the defendant’s blood. The defendant’s blood tested well above the legal limit. The United States Supreme Court ruled that the natural dissipation of alcohol in a person’s bloodstream, standing along, does not constitute an exigency in every impaired driving case sufficient to excuse the Fourth Amendment’s warrant requirement. Thus, based on the totality of the circumstances of this case, the nonconsensual, warrantless blood test violated the defendant’s right to be free from unreasonable searches of his person. Since McNeely, North Carolina’s courts have had to decide similar cases where the police directed a nonconsensual, warrantless blood sample be taken of a defendant’s blood. The following cases look at how North Carolina courts have handled cases that were similar to McNeely. In Dahlquist, the defendant pulled up to a DWI checkpoint. The officer noticed the odor of alcohol, the defendant admitted to drinking five beers, and the defendant performed poorly on field sobriety tests. As a result, the defendant was arrested for DWI. When asked to submit to a breath test, the defendant refused. The officers then took the defendant directly to a nearby hospital to have a blood sample taken without first obtaining a search warrant. He knew that over time the amount of alcohol in the blood dissipates. He knew from his years of experience that the hospital was 10 to 15 minutes away and that getting blood at the specific hospital would take approximately forty-five minutes to one hour. Based on his past experience, he knew that on a weekend night it would take between four and five hours to obtain a blood sample if he first had to travel to a magistrate to obtain a search warrant. Based on the totality of the circumstances – including, but not limited to, the distance from and time needed to travel to the magistrate and the hospital, and the officer’s knowledge of the approximate wait time at each place – the Court in Dahlquist ruled that the facts of this case gave rise to an exigency sufficient to justify a nonconsensual, warrantless search of the defendant’s body. In Granger, the defendant rear-ended a truck towing a trailer. When the officer arrived at the accident scene, he noticed that the defendant was in some level of pain. As a result, the defendant was transported to a nearby hospital. The officer also went to the hospital and ultimately investigated the defendant for DWI. Based on that investigation, the officer determined that he had probable cause to obtain a blood sample. However, the defendant refused to give his consent. Even so, and without first obtaining a search warrant, the officer directed a nurse to take a blood sample from the defendant. He was concerned about the dissipation of alcohol from the defendant’s blood because he developed probable cause for DWI over an hour after the defendant’s accident and estimated that it would take at least an additional 40 minutes to travel to the magistrate’s office, obtain a warrant, and return to the hospital. He was investigating the DWI alone and would have had to call and wait for another officer to arrive to observe the defendant before he could leave to secure the search warrant. He was concerned that if he left, or waited any longer for a blood draw, the hospital would administer pain medication that would contaminate the defendant’s blood sample. In this case, the North Carolina Court of Appeals ruled that exigent circumstances justified the nonconsensual, warrantless withdrawal of the defendant’s blood. The circumstances that distinguished Granger from McNeely were the fact that an hour and a half had passed since the defendant last drove, it would have taken an additional 40 minutes to obtain a warrant, and it was impractical for the lone investigating officer to leave the defendant unattended in the hospital. Determining what is considered exigent circumstances sufficient to bypass the Fourth Amendment’s search warrant requirement is an evolving area of the law that, as you can see, must be examined on a case by case basis. As it should be, this area of the law will continue to be highly litigated in DWI cases. If you were charged with DWI and a sample of your blood was taken, it is imperative that you contact a Charlotte, North Carolina DWI lawyer at Browning & Long, PLLC to discuss the specifics of your case. In North Carolina DWI cases, a person is most commonly incapable of consenting to or refusing a blood test where they are unresponsive or unconscious. This typically occurs in DWI accident cases. That is, the person suspected of driving while impaired has been involved in a vehicle accident that has left them unconscious and unable to respond. As a result, they are transported to the hospital where the police often direct medical personnel to perform a blood draw on the unconscious person. But can they? N.C.G.S. 16.2(b) speaks directly to this issue. This statute essentially allows an officer who has reasonable grounds to believe that you have committed a DWI to direct a nurse, or other qualified medical personnel, to draw your blood if you are unconscious or otherwise incapable of refusing the blood draw. This blood draw may be performed without notifying you of your implied consent rights listed above. However, recently the North Carolina Court of Appeals ruled in State v. Romano that the warrantless withdrawal of blood from an unconscious DWI suspect was unconstitutional in that it was an illegal search and seizure that violated the Fourth Amendment. That is, the police cannot rely on N.C.G.S. 16.2(b) to have a warrantless blood draw performed on an unconscious DWI suspect. Now, if the police are able to obtain a search warrant for the person’s blood, or show they met an exception to the requirement of search warrant, the blood may still be drawn.